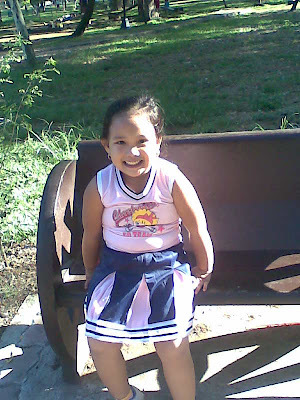 May 2009 | To Be, To Be. Tutubi. If you really want need money, try browsing the site now for the list of requirements and the terms of the loan. The site is very easy to navigate and you can also immediately find out the value of your car so you already have an initial idea whether you qualify right away. You can also negotiate the terms of the loan and pre-payment is also available without penalties. They will also take care of most of the DMV paper works for you. They also guarantee confidentiality of all submitted information. So if you really need to take out a loan, you may consider getting a car title loan. LP 58: Alam Mo Ba? Alam mo ba na ang Batangas ay isa sa may pinakamagandang baybayin sa Pilipinas? Kuha ito sa La Luz Resosr sa may Laiya, San Juan Batangas. 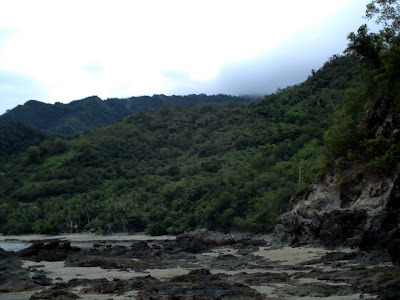 Eto ang lugar na magandang mag snorkelling dahil ito ay fish sanctuary. Alam mo ba na ako ay isang Batanguena kung kaya't ikinararangal ko ang Batangas? Ay opo, Itanghal ang Diwang Batangan! Marami ka pang mga puedeng malaman dito sa Litratong Pinoy. How Much Allowance Do You Give Your Child? All of my 3 kids are now of school age. The eldest is in Grade 6, the second is in Grade 1 and the youngest will be in Kinder class. I don't give the younger ones any money yet as they have packed snacks and lunch and we bring and fetch them to and from school. As for my eldest, I started to give him some money for allowance when he was in Grade 3. 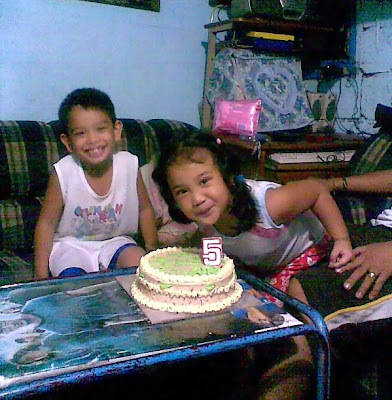 Last year, his allowance was P15 a day excluding his tricycle fare. For this year, we are negotiating the figure between P20-P30 a day. I give it to him daily because he refuse to accept one week's worth of allowance money. He said that the temptation to spend it all in one day may be too much for him. For this school year, I will give it to him weekly so he can already learn to manage his own money, and teach him to save also. We have already opened a Junior Savings Account for him last December and I told him that he can use that money to buy what he wants. I think he is saving up for a gaming console or something like it. When I asked him how much his classmates are getting, he said P100 a day, without lunch and snacks and including the P15 tricycle fare. Of course, he said that the P15 a day last year was not enough since because he buys juice and pasalubong for Ishi. Then he sometimes just walk from school with his friends so he also has extra money. I just hope that the allowance I am giving him is neither too little nor too much as I want to teach him proper money values. What about you? How much allowance, if any do you give your child? If not, why not? Every morning on the way to work, we see this man on a motorcycle with an additional two wheels at the back, just like a bicycle with starter wheels. The man is handicapped, but he operates his modified motorcycle with his hands and drives like any normal person does. He is a man with a disability, but he does not let this be a barrier to living a fulfilling life. I can only imagine the freedom and empowerment it has brought him. I have lots of questions for handicapped people like him and when I saw wheelchair chat room, which is a chat room for people with handicap and other disabilities, I know that I can have answers to my questions. I am actually inspired by the strength and the will of people with disabilities who continue living life to the fullest. Besides, chatting with them at Wheelchair Chat City will make you realize that they are actually just people like us, who do not want any special attention nor pity, but rather just acceptance. And if there is anything to be had in chatting with them, its the wisdom gained from being specially abled such as resourcefulness and perseverance. I just hope that more people will take the time to talk or chat with them so that they will look at people with disabilities with more enthusiasm and respect. The opening of classes for SY 2009-2010 has been set for June 1, 2009. This is mostly for public elementary and high schools. For private schools, start of classes will be a week after, on June 8, 2009. This is despite the flu virus scare, the Department of Education (DepEd) has said in news reports. Secretary Jesli Lapuz said that according to the Department of Health, there is no reason to postpone the opening of classes as AH1N1 virus has not reached pandemic level yet. I just hope that they already have a concrete plan in dealing with a scenario that involves this virus, aside from the guidelines that they have made available to the schools. And for us parents, the opening of classes is the start of waking up very early to prepare the kids and packed lunches, and then to hurry to avoid being late to our own jobs. In other words, the fun is about to begin! Here is my Ishi, trying on her new school uniform and is very excited to go to school already! 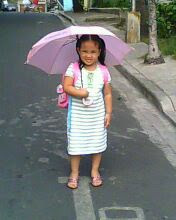 She will be in Kinder class this year. I won at Pinoy Money Talk! Last March, to celebrate its 4th year anniversary, Pinoy Money Talk had a "PMT4ever: The P8,000 4th Year Anniversary Contest!" The contest was easy. Just link to as many topics at the forum from your blog, comments page or other forum sites and you get a chance to win the prizes. And I won a cool P1,000 bonus prize. It was really nice to win from something you really love doing anyway. I love the PMT forum and some of the PMT bloggers have linked to my blogs just after reading my comments at the forum. Since I was busy at work and other stuff, I only knew this past week that I won but Future Gizmo was still kind enough to send me my winning seven after two months! Height of coolness, don't you think? So more power to Pinoy Money Talk and here is to a great 5th year! Payak. Ang aking dalawang anak kasama ang mga pinsan nila bago mag-swimming. Napakadaling pasayahin ng mga batang ito. Hindi mo na kailangan ng magarbong party o magagandng laruan, maligaya na sila basta magkakasama. Sana ay ganun din tayo kadaling humanap ng saya. Ito ang aking lahok sa Litratong Pinoy sa linggong ito. We are now in Montalban to buy some materials for our house that is being constructed and I realize that the hardware stores here are making a killing. There is a boom in construction in this area because several subdivisions are being built. I wonder how much they make and how much is the capital required to set-up one. If I can take out some Small Business Loans, and find a suitable place for the hardware, this may be a good business for now. Lap Band Surgery is one way for overweight people to have a shot at a new life. 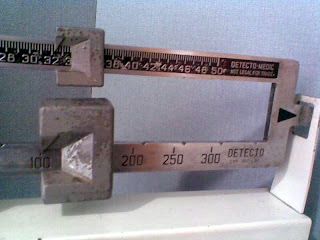 For some, weight loss may be just a fad, but there are people who really has to lose weight mainly for health reasons. Overweight people are more prone to serious health problems such as hypertension and diabetes and maybe it is time to consider getting a lap band. A lap band surgery will be performed to place a band in the stomach to lessen the amount of food intake, thus reducing weight in the process. Of course, not everybody is qualified for this procedure and a screening process has to be made to determine whether you are a prime candidate for this procedure. If you think lap band is for you, try 1800GETSLIM and see if this will work for you. ... and I have never seen any episode of the American Idol Season 8! There, its out. Yep I am no Idol fan and happily so. I only knew of this from Twitter and the tweet people are furious that he won over Adam Lambert. 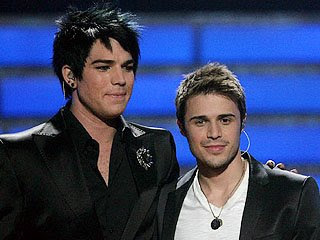 Kris Allen looks like Paolo Contis from some of pictures in the net. Yes, I know. Educate me on why I should American Idol will you? Today, May 18 is the start of the National School's Maintenance Week, which is more commonly known as Brigada Eskwela. This morning, there was a parade attended by students, parents, teachers and barangay officials from the nearby public high school in our place to announce the start the Brigada. It was the same high school where my sister graduated last month. SEC. 4. Scope of Work of the Brigada Eskwela Effort. Brigada Eskwela activities include painting of roofs, which add two or more years to the life of the roof; cementing existing footpaths and drains; repairing comfort rooms and toilets; repairing leaking water pipes; painting exterior walls of classrooms; repairing or replacing ceiling boards; repairing, refinishing or repainting chairs, desks, and furniture; cleaning up the gardens; repairing or replacing broken windows, jalousies, and doors; replacing school signs; and doing any other types or repairs as may be necessary. I remember when my sister was in Third Year, I was elected as a classroom PTA officer in her class and we were required to be part of the Brigada. We were asked to do our part in helping beautify their classroom. One parent suggested we repaint the room and get an additional electric fan, so when it was agreed upon, the parents willingly gave money to buy the paint and to purchase the electric fan. One father also volunteered to repair the wooden windows and some chairs while one mother volunteered to donate some curtains. We all know that we cannot always ask the government to pay for all these expenses and we were happy to do what we can for our children. or in my case, sister. I just hope that DEPED will come up with another brilliant and working idea like this Brigada Eskwela and stop the overpricing of books tat has been hounding them for years. 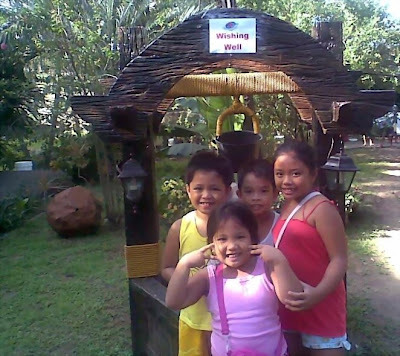 We were in Montalban last weekend to check out the construction of house. It is going quite well and on time. Our next project for this house is the electrical wiring, which we have deferred while waiting for our service connection. We were talking to one of our workers there and he referred his friend who he said is an expert in wirings. I am skeptical because he is not a licensed electrician. I am looking for somebody like these Madison Electrician, who are experts and boasts of "unparalleled service and quality". I feel safe just thinking that a highly qualified electrician will inspect my house, offer a reasonable bid and discuss the project not only in terms of the money I will pay them, but on the value of the work they are giving me. The safety of the house and of the family is the deciding factor for me when choosing this kind of service. I am quite sure Alliance Electric can give you that and more. I was just thinking that a satisfied customer is the best person to ask when choosing a qualified electrician for the job and I am happy that I have found them. Check out their website and request for a visit if you need their services. Look for scholarships or sponsorships. Ha ha. Long shot, but always worth a try. If possible, enroll all the kids in one school to get a discount. In my kid's school, the 3rd child gets fifty percent off from the tuition fee if you pay in cash. There are also other fees that you only need to pay once for all the kids enrolled. You also save on uniforms and books if you can persuade the younger ones to use hand-me downs. Buy your school supplies in bulk to save on money. Shop in Divisoria to save even more money. Buy only necessary items. A pencil topper may be cute, but what is it for anyway? Re-use and recycle. As above, uniform of the older kid can be re-used if in good condition. While we all want our kids to have new things this school year, learn to negotiate. If you are buying him a new bag, persuade him to use Kuya's black shoes so you need not buy him new ones this year. Recycle old notebooks as scratch papers or practice pads. You can also sell old books and notebooks to your neighborhood junk shop to earn more money. Watch out for mall sales in time for school opening. Robinsons Galleria is having a 3-day sale and school shoes are on 50% off. I saw a Fisher Price shoes for only P300.00 and was about to buy it when I remember that my son has a perfectly working black shoes. I opted to look for a bag for him instead and saw an Elmo bag big enough for his books. It was on sale at 70% off! There are other ways to save money during enrollment time. You just need to set your priorities right and encourage your children to do the same. If you have other money-saving tips, please care to share. Last November, we were on our way out of town to attend a christening when our car's A/C conked out. There were five of us in the car; me, my husband and the three kids and we were all in formal wear. It was early morning and the heat was unbearable. We had no choice but to continue with the trip in sweltering heat and you can imagine how suddenly annoying the trip had become. Adding to the frustration, we cannot open the car windows because of the thick dust coming from trucks loaded with sugarcane! When we got back to the city, my husband immediately had the air con checked, the diesel fuel pump, and the compressor. I told him to make sure that this will not happen again and to check out a reputable supplier for auto parts like Diesel Parts Pro. My Google Adsense Personal Identification Number (PIN) arrived yesterday. I have now verified my account and am now eagerly waiting to reach my first Google Adsense payout. 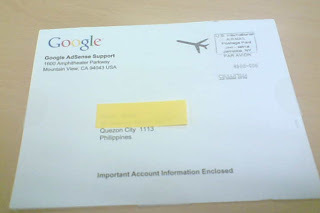 For the still uniformed, you may refer to Pinoy Money Talk's FAQ on Google Adsense Pin. In a nutshell, you need the pin to verify your account, remove any hold on payments and receive your Google Adsense earnings. I have still a long way to go to getting my first Adsense check, but hey, slowly but surely does it. 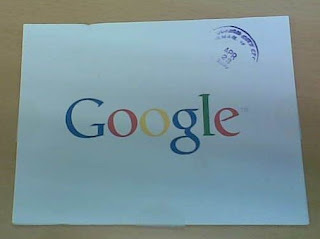 O a side note, the mail arrived at the Quezon City Central Post Office last April 23 but I only received it yesterday. They really take the concept of snail mail seriously, huh. There are days when you have several ideas in mind that you can write about and then there are days like this when you cant think of one single thing to post. So how do I deal with this? I would like to share with you what I do when I have nothing to write about. 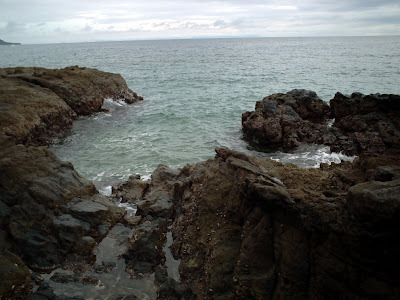 Blog-Hop and see whats happening in the blogosphere. Visit your favorite blogs and read what they have written. You may be inspired to write something about a similar topic or experience. Or you may want to join blog contests and write about them in your blog. Read the news and blog about current events. Most blog posts I have seen lately are reactions to news articles on what is happening in and out of the country. Like the Manny Pacquaio victory, the swine flu scare, the Congress and Senate Circus, etc. Watch your favorite TV shows and blog about it. Results of TV contests like American Idol are always bloggable. Or a new episode in your favorite series can inspire you to write about something. Your life. Is there anything interesting (or not) that is happening in your life that is worth sharing or ranting about? Like Macuha ranting about that jerk who parked in front of his driveway. Do you have a new project or advocacy that you would like to share about? Sale, sale, sale! Have you chanced upon a sale on a mall, or the crazy sale in Adidas for original men's rubber shoes for only P1,000.00 (ask me!) or the Cebu Pacific Happy Hour ticket sale? Why not share it with us? There are other sources of ideas on what you can write about in your blog. Or if you really cant decide what to write, why not write about what you can do when you cant think of something to write about? I have friends who are in their late thirties but are still single. They would always say that they are still waiting for that "special someone" and surely he or she will come in due time. I would tell my friends that what if that special someone lives in another continent? Therefore they should be open to the concept of free interracial dating. With the accepted and even hailed concept of online dating, one should not be afraid to try new avenues to meet new people of even different race . If you want, you should visit Datinginterracial.com, a cool and easy to use website to meet that "special someone"and be single no more! Like Oprah, I fell off the wagon and gained back 7 unwanted pounds! From 125 lbs last November, I am now a whopping 132 lbs. This is bad, really bad. Need to start exercising again. Soon, very soon! trade it for anything else! Visit my blog To Be, To Be. Tutubi. Manny Villar's Itik and OFW's sent home, Mar Roxas' Padyak, Ping Lacson's Bang. These are just some examples of political ads for these hopefuls. There was even one from Gibo Teodoro of the NDCC which earned lots of flack from people watching the Pacquaio fight. Are these effective political ads or what? I say they do get a lot of negative publicity but they also score big in the name-recall game. I have never heard of Gibo Teodoro prior to his NDCC "infomercial" but now his name is stuck in my head. Of course, should he run, I will not vote for him without looking deeper into what he represents. But of course, what about those people who will just vote for the person because the name rings a bell? That's the reason why we still have Lito lapid in the Senate! Then there is the Ako Mismo ad. It is very catchy, what with big names lending their credibility. Some people became wary when rumors surfaced that MVP is behind it, but an advertising agency already claimed ownership of the advocacy. Maxene Magalona also defended it in Facebook saying that this is an advocacy worth our support. Still, people are remains wary of being used. All in all, despite existing laws on premature electioneering, our politicians have become so brazen and the people have become immune to all of this. We the people are the victims here, not only because we are being subjected to these puke-inducing and self-servings ads but also because they take us for fools who cant tell the difference between truth and fiction. I was just thinking how it would be very nice to snuggle in bed with my husband now that the rains are here when I saw this rustic furniture. I can imagine being in a log cabin somewhere in the mountains and being warmly kept in this rustic log bed with my husband and the kids. Even just thinking about makes me feel that this furniture brings out a very homey and vacation-ey feel to it. Having one of this in my room would really create an authentic log cabin feel to our room and there would be no need to go to a real log cabin if what we are craving for is just right here at home, don't you think? Oh and there are also other furnitures to match so you can create the rustic feel if you are in the mood. Nice, huh! Did you know that a single leaking faucet left unattended will cost you more than hiring a plumber to repair it? Yes! And did you know that aside from wasting precious water you are also wasting money because of the damage that a leaky plumbing can bring to your house? You may not notice it, but slowly and surely, it will cause rust and unsightly stains on your bathroom or kitchen which in the long run will require repair already. Or worst, what if a faulty plumbing cause a major leak in your house? Can you imagine the damage that it will cause and the cost that it will entail? Makes me shudder just thinking about it. It would look like as if a major flood ruined your house. So if I were to need major plumbing job in my house, I would consider the services of Huntsville Plumbing who are experts in this field and at the same time offer very competitive prices. If you check out their website, you can ask for a bid for the project and a timetable for the work to be completed. This is very important because you can discuss with them your requirements for the job and you can agree on every point of the project. Remember that prevention is always better than cure. So make sure to select the best man for the plumbing job to get the best value for your money and for your peace of mind. 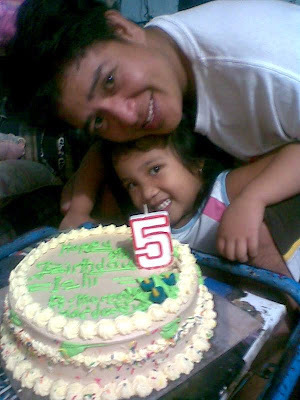 We had a very simple birthday celebration for Ishi yesterday. We rushed home from work at 6:30pm and by 7:00 pm, I was busy cooking spaghetti for dinner. We also pre-ordered her cake, and we also brought home a gallon of ice cream. 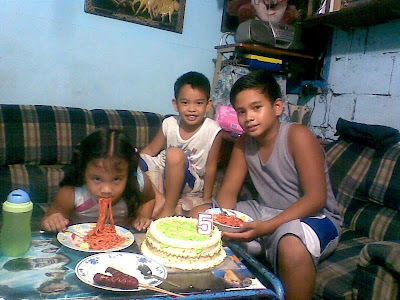 We sang her Happy Birthday and then she told us we can all eat the spaghetti. Then when she was done eating her pasta (she had two servings!) she said we can now eat the cake. And when she is done with the cake, we can now have the ice cream. 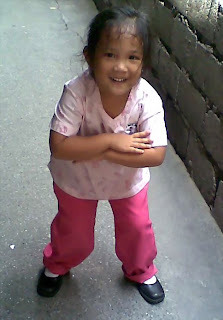 The little girl had fun telling us to wait for her Kuya Danniel who take too long eating his rice (he doesn't eat spaghetti!). It was a very simple birthday, but you can see from her pictures that she really had fun. She felt really special that day because her brothers gave in to her requests, like what TV shows to watch and who take first turn on the Game boy. etc because it was her birthday. Of course, we still owe her a swimming party before the start of school, but I like it that she can appreciate a simple celebration. Since we need to enroll all three of them this school year, our budget is a little strained than usual. But I am really happy that my kids are growing simple and easy to please. Thank you for small blessings! Today is my little girl's 6th birthday! She is a super sweet and precocious girl. She gives a mean back massage and can literally chase a headache away! She can also hold her own against her two elder brothers and can even get her Dad to do things her way. How time flies! Asked what she wants for her birthday, she said spaghetti and 3-in-1+1 ice cream. So you know what we are having for dinner later. the Mexicans will finally recognise him as their Pambansang Kamao. and for Aling Dionisia's sake,I really pray that he wins this fight.